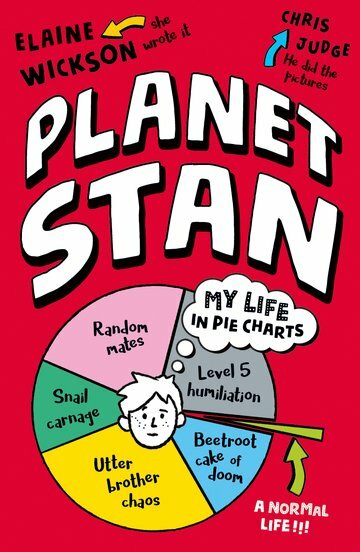 Stan loves charts and he uses them to explain everything. Stan wants to win a telescope because he loves space. BUT one thing stands in his way… actually one person… his snot picking, loud, dinosaur loving brother, Fred. Fred is always up to mischief like colouring in Rory, the T-Rex at the museum or stealing the new exhibition! It gets worse when Fred realises that Rory is being removed from the museum and he nearly ruins Stan’s chances of entering the competition! Does Rory leave the museum? I recommend this book to 9+ readers who like Diary of a Wimpy Kid. I really enjoyed the way this book was written and I think more books should include charts, diagrams and graphs to make them more interesting!